Every year in December, elves across the world come out of hiding to bring hours of entertainment and joy to kids – and hours of lost sleep and stress to parents who keep forgetting to move the damned things. 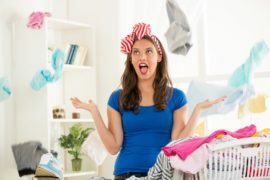 One mum has come up with the best way to kiss this (sometimes tedious) holiday tradition goodbye without ruining Christmas for her elf-loving kids. What do you do when your motivation for Elf on the Shelf has hit an all-time low? Send Elf into retirement and turn him into a “real toy”. For years Christy Heins has done the whole “Elf on the Shelf” thing for her three daughters. She’s read the story. She’s given Elf a name. And she’s placed Elf in every crevice of her house. Now, she’s done. You see, Christy’s elf, who goes by the name of George, has officially hit retirement age. 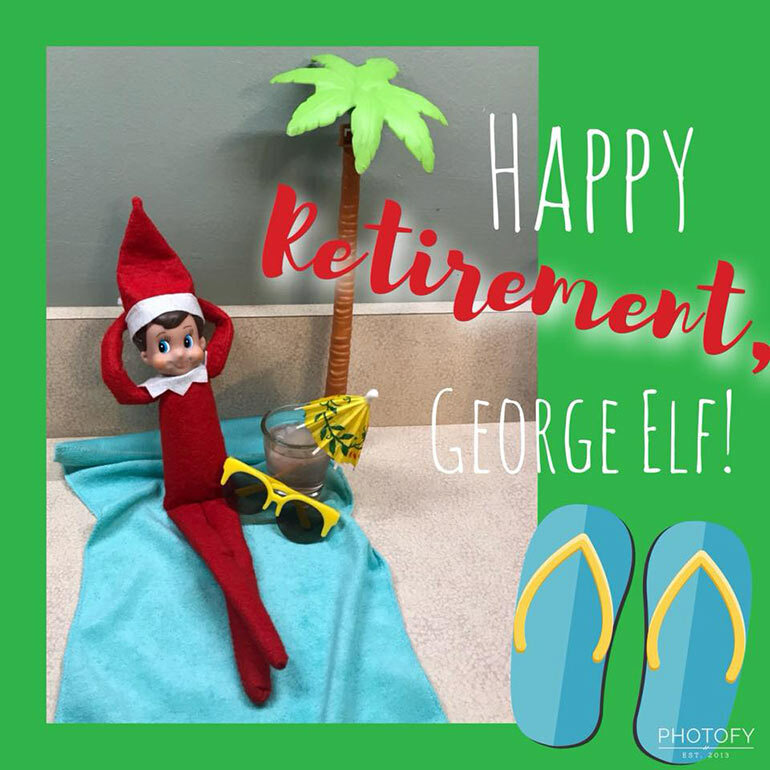 He’s been doing the whole Elf thing for three years and, well, it’s time for George to put up his feet. And for Christy to say goodbye to the added festive season stress. 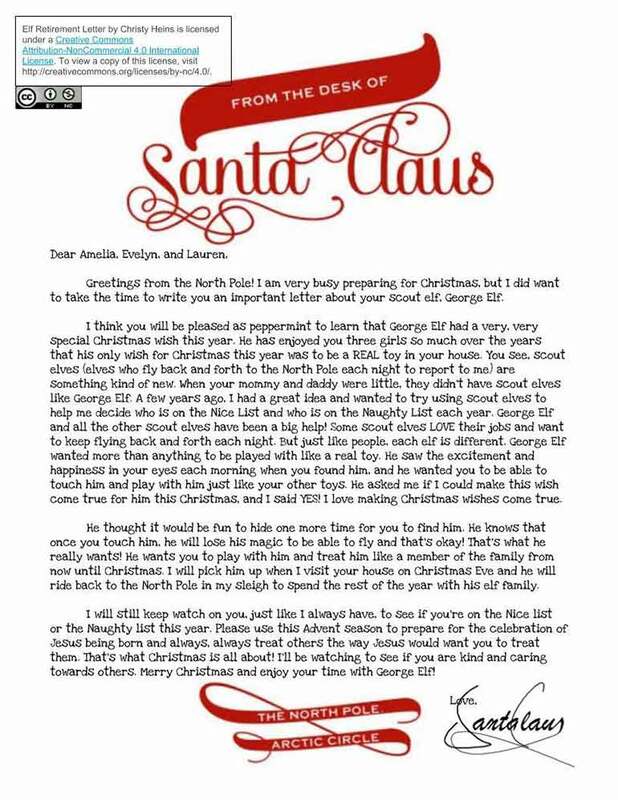 As Christy so creatively explains in her letter, which is written by the Man in Red himself, George wants to be free to move around and “be played with like a real toy”. George wants to play with the other kids until Christmas Eve. Then, he will head back to the North Pole to be with his elf family. No more creating elaborate elf scenes. No more checking Pinterest for ideas. Best of all, no more waking up at 2am panicked because you forgot to move the f*cking elf… again. Christy shared her ingenious letter and an image of George basking in the retirement glow on Facebook. “I hope I’ve found a way (kind of a cheater way) to sort of keep it going, but take a little pressure off at the same time. I hope the girls will be as excited as I am!” And from the looks of it, the kids don’t mind. 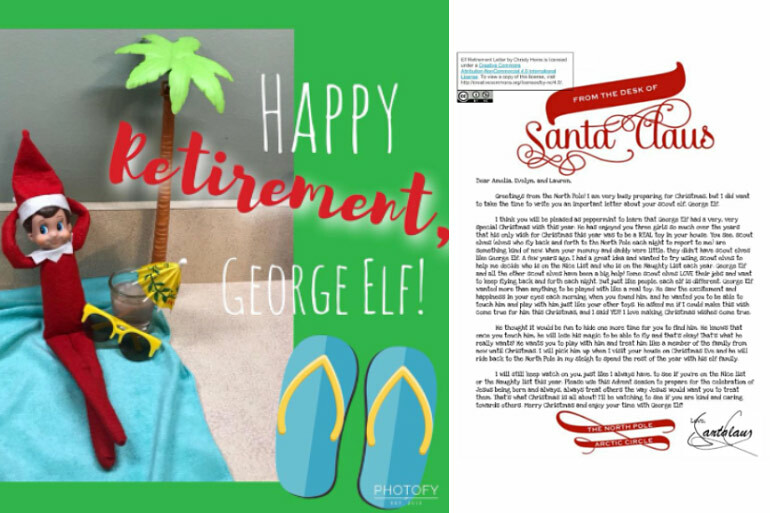 Congratulations to both Christy and George on their much-needed Elf on the Shelf retirement! I can guarantee you that our Elf will be following in George’s footsteps VERY VERY soon. Of course, not everyone is ready to retire their Elf. 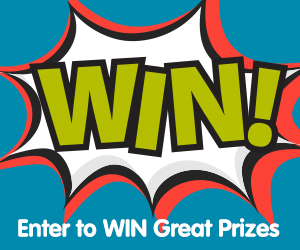 If you and the kiddies love it, then be sure to head to our Elf on the Shelf competition where there is still time to enter to win a Panasonic camera. 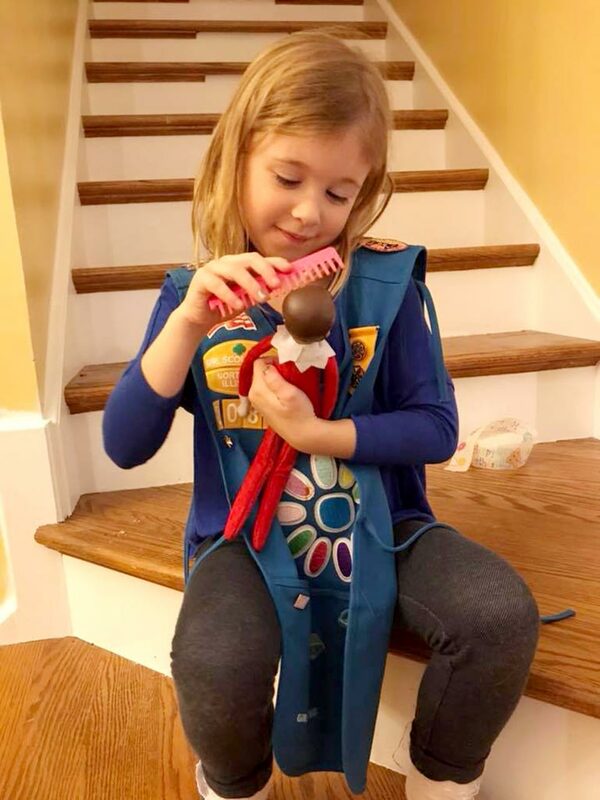 And watch this space because we’ll soon be sharing our favourite Elf on the Shelf photos from our readers!